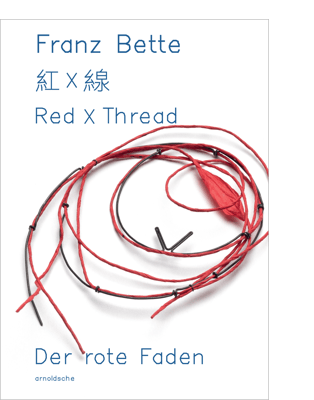 For Red X Thread, the gold- and silversmith and designer Franz Bette (b. 1941) developed a new body of work which reflected his experiences in Asia. For this, he incorporated new elements to his artistic approach, extending his Western-influenced vocabulary of steel, silver, gold and plastic by adding materials with Asian connotations, such as porcelain, paper, bamboo, wood and textile. He works with these materials aware of the tradition and meaning in Asian culture. Many new impulses have led Franz Bette to special formulations in his poetic language, to organic ephemerality instead of geometric constructions. His jewellery shifts between drawing and sculpture, far removed from all monumentality.